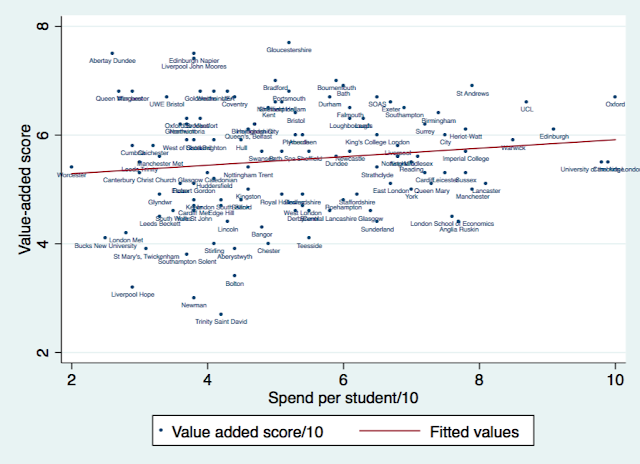 Roving Bandit: Does spending on education increase learning? 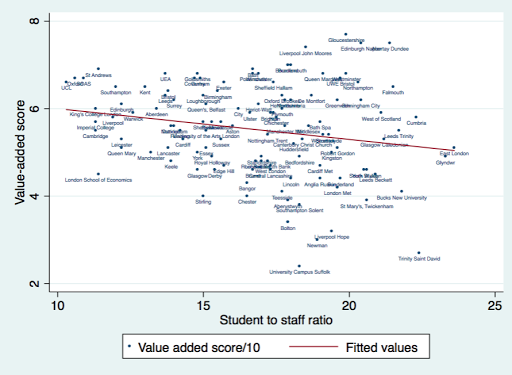 Evidence from the Guardian UK university ranking, which scores universities both on their value-added (final exam scores minus pre-university exam scores - a measure of how much students learnt at university), spending, and student-staff ratio. 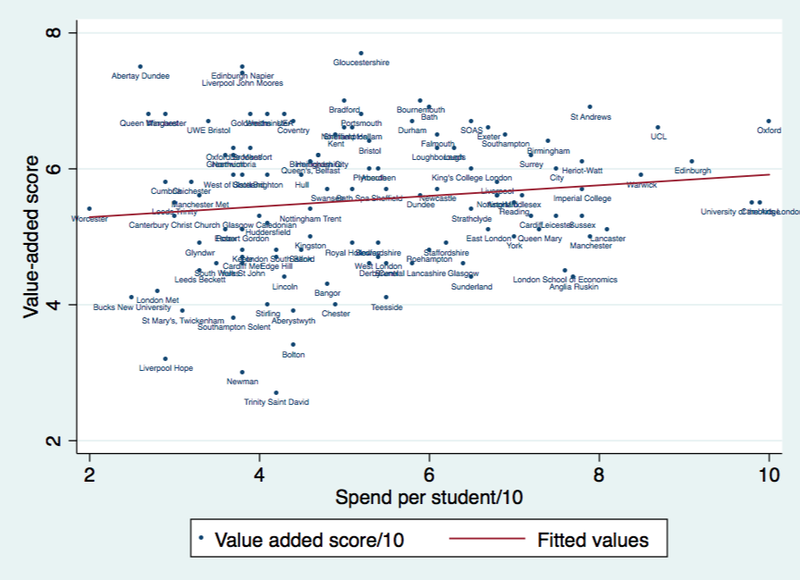 aaaand surprise surprise, spending looks totally uncorrelated with learning. Smaller class sizes do seem to be doing something (small sample sizes, correlation not causation, yadda yadda), which makes you wonder what the high-spend, large class-size universities are spending all their money on.